Your request is sent as an email to the registered contact with us at HIMA Paul Hildebrandt GmbH. When companies make poor choices about safety, the results can lead to the loss of life, devastated communities and bankrupt businesses. Making the right choices about safety protects your employees, your communities and your business. As the world's leading independent designer of automated safety solutions, HIMA understands your technical and your business requirements and the newest standards and regulations. This enables us to help you avoid over protection and under protection, as well as costly and unnecessary shutdowns and litigation processes. HIMA protects more of the world’s major oil, gas and processing companies than any other safety system supplier. 10 of 10 of the leading oil and gas companies are HIMA customers! 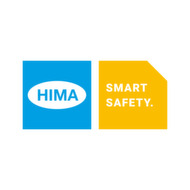 By choosing HIMA as your safety solution provider, you gain the benefits of nonstop safety and something else — a business partner who understands that your business needs to deliver maximum safety and maximum profitability.